Some mornings just call for a little something extra! 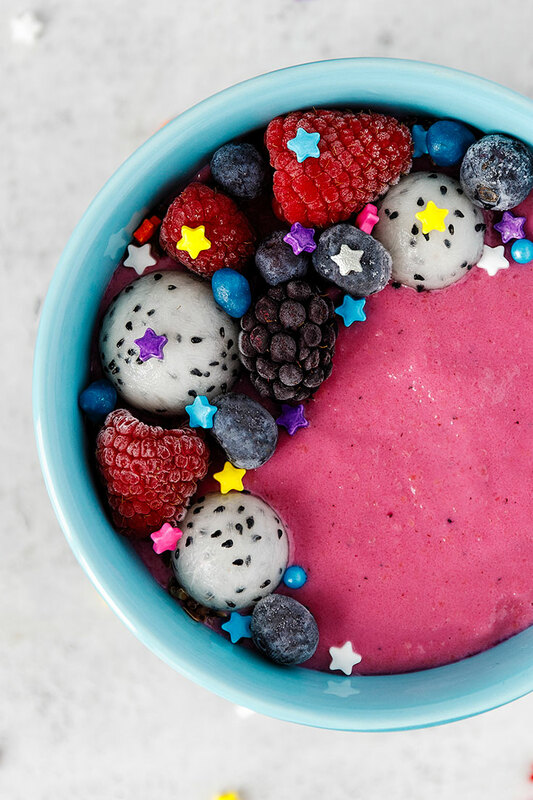 Makes 1 epic smoothie bowl. 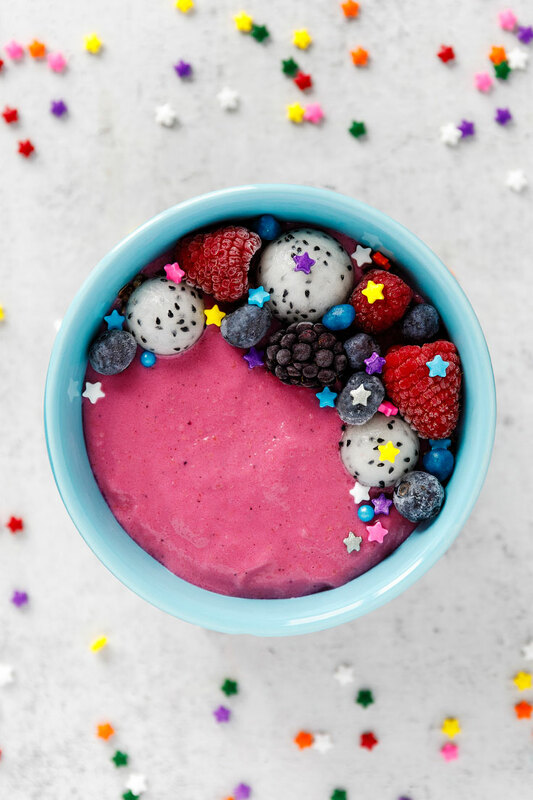 Pour into a bowl and garnish with flax seeds, chia seeds, fresh berries, and/or fresh dragonfruit. Look for dairy-free yogurt near the dairy in your local supermarket. 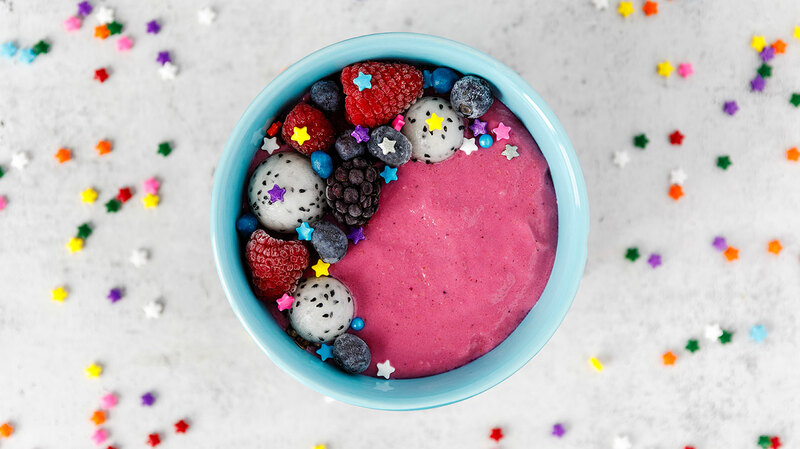 We found our pitaya powder online.